Jamie started entering races in 2009 after the birth of her son. She quickly fell in love with the race atmosphere and set a goal in 2013 to run 100 miles of races. That year she completed over 200 miles of races. “I love to meet other runners,” Jamie says. 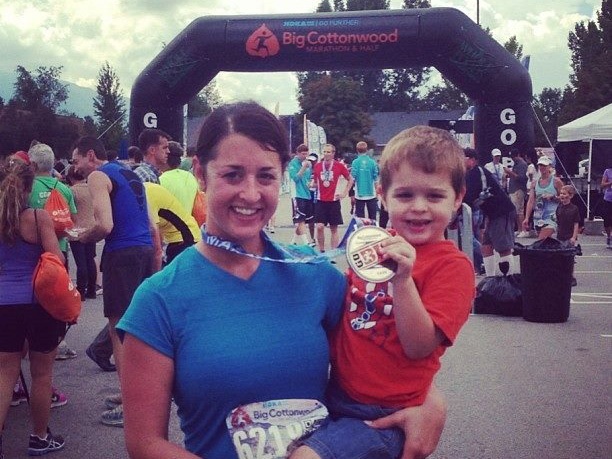 “It is great to be around people who like to challenge themselves and make their health a priority.” Jamie completed her first marathon at REVEL Big Cottonwood and now has her sights set on hitting her BQ this year on the same course.